You can still give to the Donald & Pat Shoup Endowed Fellowship in Urban Planning and support future transportation students. This summer, Professor Donald Shoup is retiring after more than four decades of service to the UCLA Department of Urban Planning. 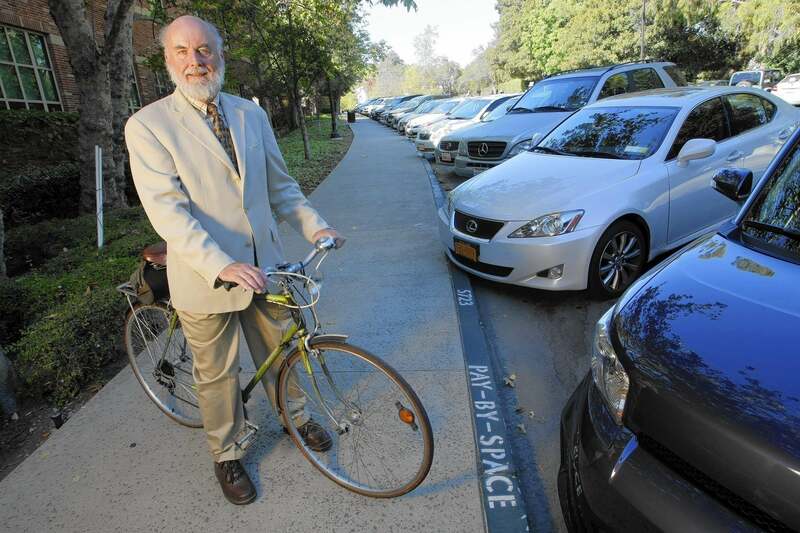 To honor Donald Shoup and the urban planning revolution he began, UCLA Luskin aims to raise more than $50,000 in fellowship support for future UCLA urban planning students focused on transportation by May 30, 2015. The Donald and Pat Shoup Endowed Fellowship in Urban Planning will support transportation-focused students at UCLA Luskin in perpetuity, lowering costs and making graduate school possible for those who might otherwise not be able to attend. This means that a $100 gift equals $300 in funding for future graduate students. $500 today translates into $1,500 for tomorrow's change agents. A $5,000 investment pays $15,000 toward a brighter future for a planning student's community. 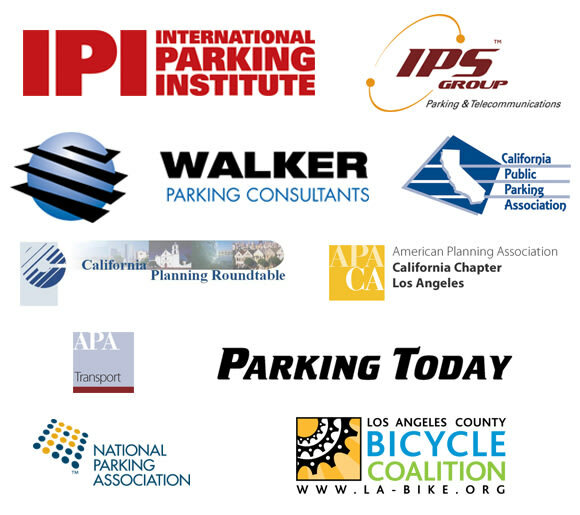 Who are UCLA Luskin Urban Planning students? They come from a wide range of backgrounds and pursue a variety of interests. They are urban advocates, community organizers, environmental innovators, transportation mavens, public health proponents and affordable housing activists. They are passionate about justice, equality and the power of positive change. Their idealism is infectious: they believe they have the power to change the world, and the scary thing is they're right. As more than four decades of alumni attest, they will go on to realize major achievements, improving communities around the world. Your support is crucial to helping these students succeed. In the last five years, only 39% of urban planning students have received fellowships, scholarships or other grant support. Limited fellowship funding, combined with the rising cost of attending a nationally ranked professional program, has forced these graduate students to take out expensive loans or pass up advanced study altogether. Your gift helps these students fight for a brighter future. As his steady drumbeat of ideas caught on, planners, academics and urban advocates around the country have become champions for Shoup's ideas. Identifying as the "Shoupistas," these agents of change make it clear that maintaining the status quo is not an option — livable, welcoming neighborhoods demand new thinking about parking, land use and the way we build our cities. Today there are more than 2,400 Shoupistas in cities around the world, fighting for their communities and all motivated by Professor Shoup's rethinking of our cities. Give Today. Join the movement. 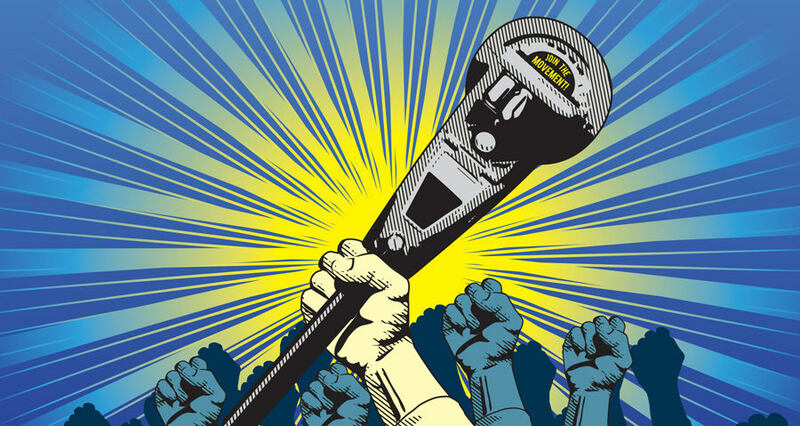 Fight for the future. 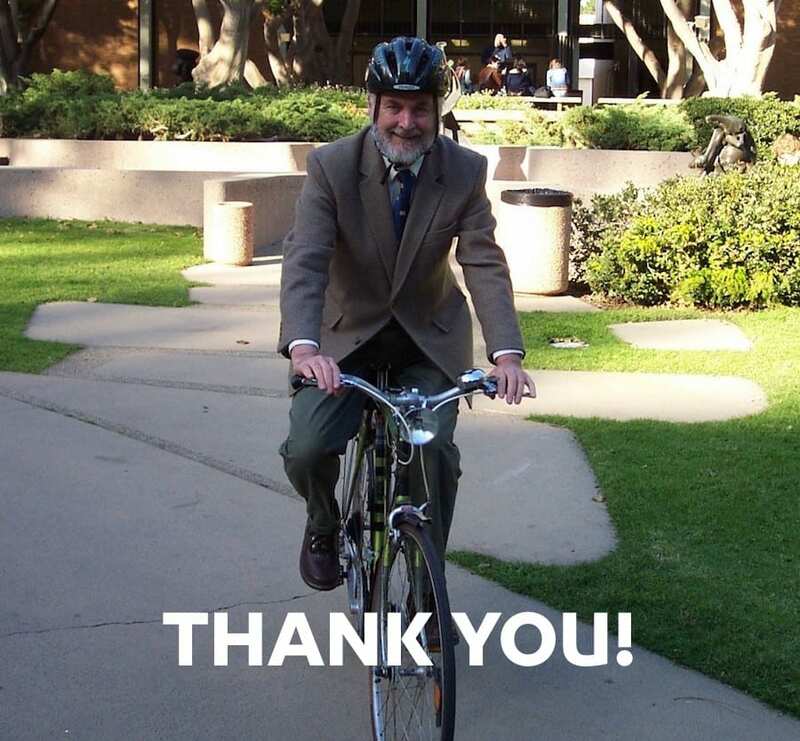 Gifts of $100 or more provide you with complimentary admission to Professor Shoup’s retirement celebration to be held on top of UCLA's Parking Structure 32 on May 30, 2015. 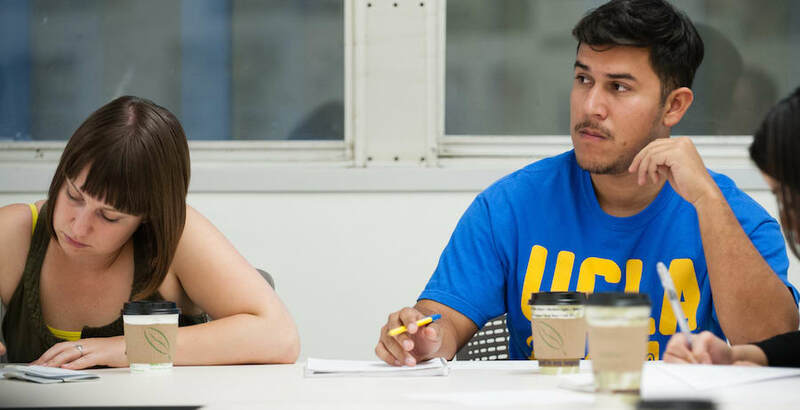 To inquire about corporate support, please contact Marisa Lemorande, Assistant Director of Alumni Relations at 310.825.3589 or mlemorande@luskin.ucla.edu. If you wish to pay by check, please make the check made payable to the UCLA Foundation and send to: Marisa Lemorande, UCLA Luskin Assistant Director of Alumni Relations, 3250 Public Affairs Building, 337 Charles E. Young Drive East, Los Angeles, CA 90095-1656. Patrick Siegman, Nelson\Nygaard Consulting Assoc. Thank you shout-out from Shoup himself!